When you’re staying somewhere that boasts “Excellence since 1228”, you know it’s going to be memorable. 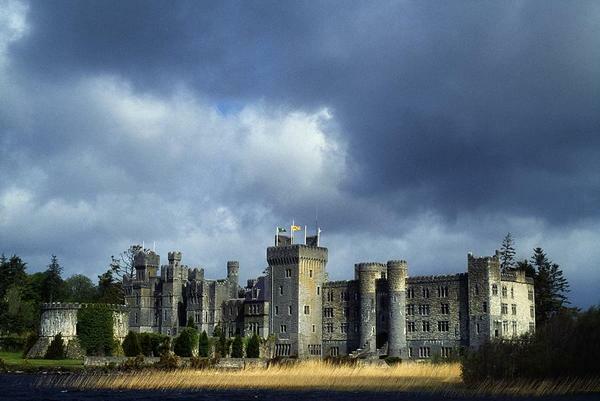 Spend a night in the magical Ashford Castle in County Mayo, Ireland. 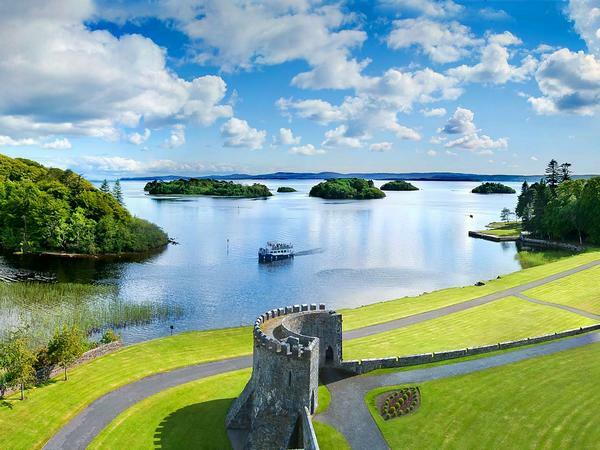 Built by the Anglo-Norman de Burgo family on the banks of Lough Corrib in 1228, the castle is surrounded by vast gardens, lush green woodlands and tranquil stretches of water. The castle is spectacular both inside and out – imposing stone battlements, turrets and a moat is the stuff of fairy tales and legends while inside a wood-panelled great hall, suits of armour and medieval antiques will impress. 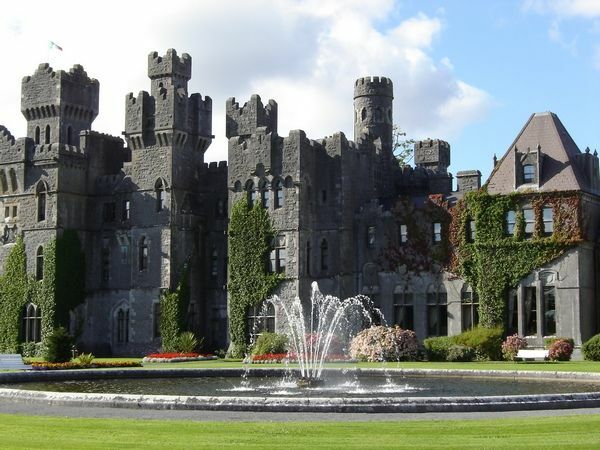 Established as a hotel in 1939, the castle has an unsurpassed reputation in Ireland for providing guests with the very finest travel experience. 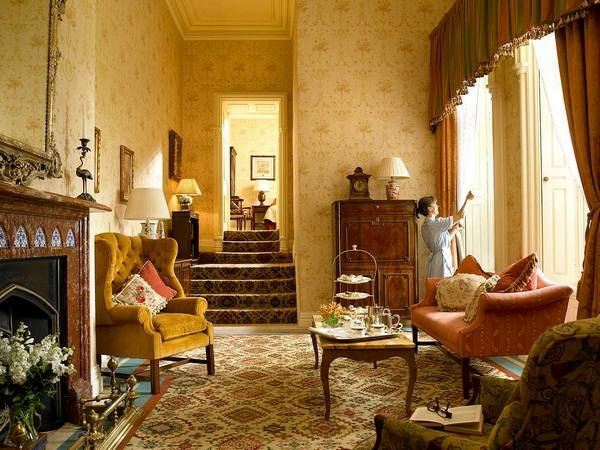 Each of the eighty-three rooms and suites are individually decorated and retain original features (as well as all the necessary modern amenities, of course). 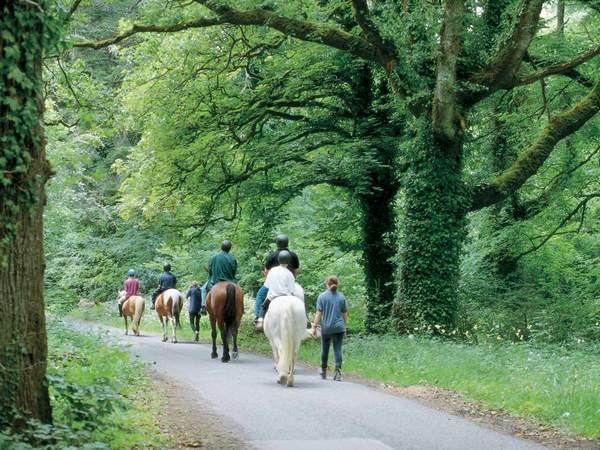 Ashford Castle is a fabulous family destination, offering activities such as family horse riding and fly-fishing classes. However, the main attraction is the Hawk Walk, a personalised falconry lesson in the woods where you have the opportunity to fly your own hawk. After a brief introduction to your bird of prey, the hawks will follow you from tree to tree through the woods before swooping down to land on your gloved fist. Remarkably, no previous experience is necessary to join the Hawk Walk and children and families are welcomed – thrilling stuff! 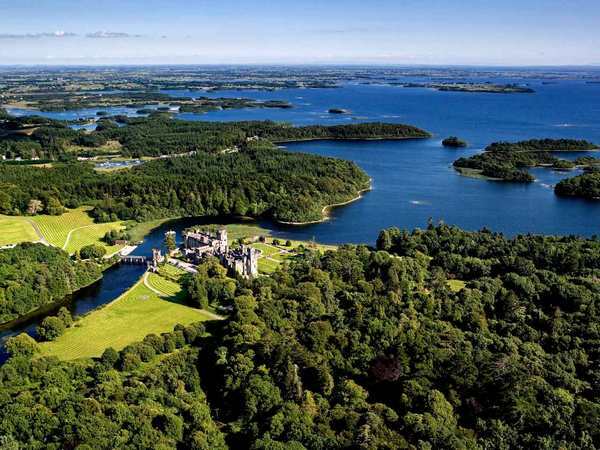 There’s also golf, tennis, bike riding and boat cruises around the nearby islands of St. Patrick and Inchagoill to enjoy. 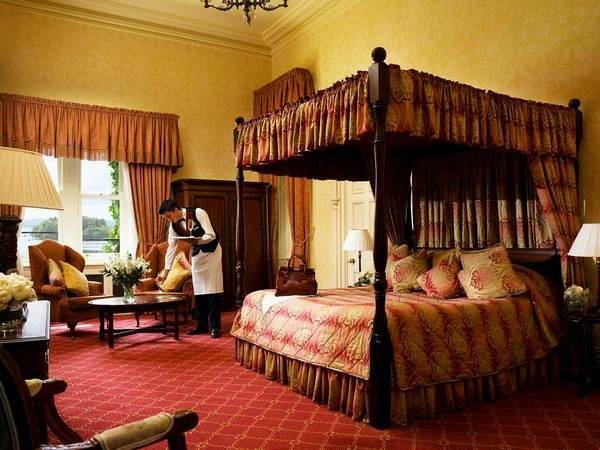 There are various family accommodation packages available at Ashford Castle. 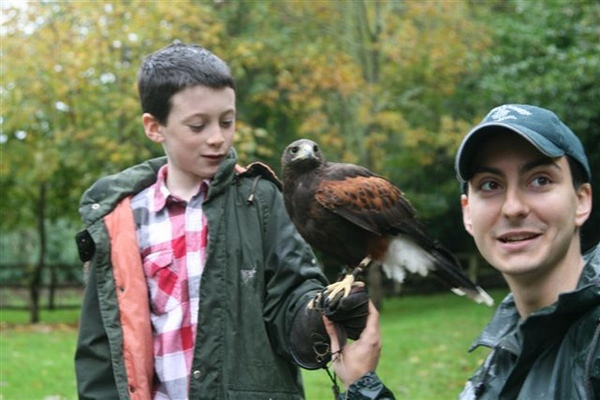 The Summer Family Falconry Package is €1250 and includes two nights accommodation and full Irish breakfast for two adults and two children. Also included is a family Hawk Walk and dinner in the George V dining room (which helpfully has a children’s menu). Bookings can be made online. For online flight reservations, head to Goldman Holidays.